I have to say after not having done a Friday Favorites post last week- I really missed it!! It's been quite the week with this being my first full week in over two weeks - so as you can imagine getting back into the swing of things was hard!! So much so that I was about to go to the gym after work and realized I left my sneakers at home!! I'm ready for a relaxing weekend but not before sharing some favorites and linking up with the fabulous Amanda!! The Tone It Up girls shared a brand new workout this Wednesday. I usually just search their workouts on YouTube, but this one has them actually doing the HIIT workout in a living room - I loved that they weren't in a studio or the beach working out but in the same place that I would be doing the workout! This is one of my favorites that they have shared!! I'm a huge fan of Jillian Harris and her blog!! 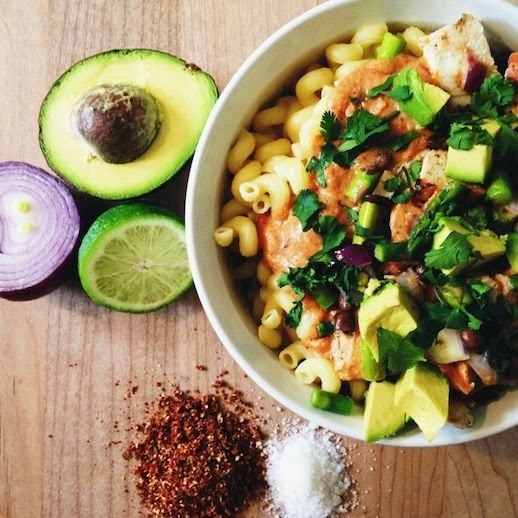 She shared this fab Southwestern Pasta recipe and I am dying to try it! Olivia Palermo's style is usually a hit or miss with me! I really love this outfit - perhaps without the studded leather jacket though! I finally bought the Bauble Bar Earrings and Faux Fur Vest from my Fall Wishlist...that's it I'm done for the season! Both items were on sale so it was the best time to buy! + Lauren Conrad & William Tell were married last weekend and I can't wait to see what the rustic chic wedding looked like! + We can all be Gladiators and dress like Olivia Pope now - The Limited is releasing their collection two days before the Scandal premier on the 25th! Wishing you all a very happy and relaxing weekend!! Hope you'll join us for Weekending on Monday!! That pasta look soooo yummy! I really hope you do a modeling post with that faux fur vest - I would love to see how you style it! and I am loving those Bauble Bar earrings so much :) Happy Friday! 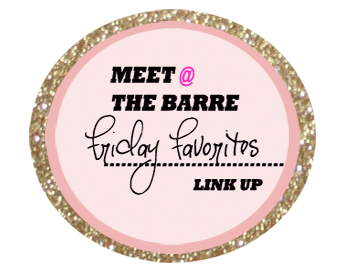 Such great Friday Favorites! That pasta looks so delicious, and so glad you picked up those items on your wishlist -- they are fab! And can we talk about how stunning LC and William Tell are...wow. Have a great weekend! xo! That pasta looks delish! LC can do no wrong and her wedding looked so chic and beautiful! Happy Friday!! Perfect roundup! Olivia Palermo's style is timeless. Have a fabulous weekend! Love the earrings!! Great reads this week, love the every girl! Have a fab weekend!! Um I had no idea that Jillian Harris had a blog ... I'm definitely going to be checking that out today! 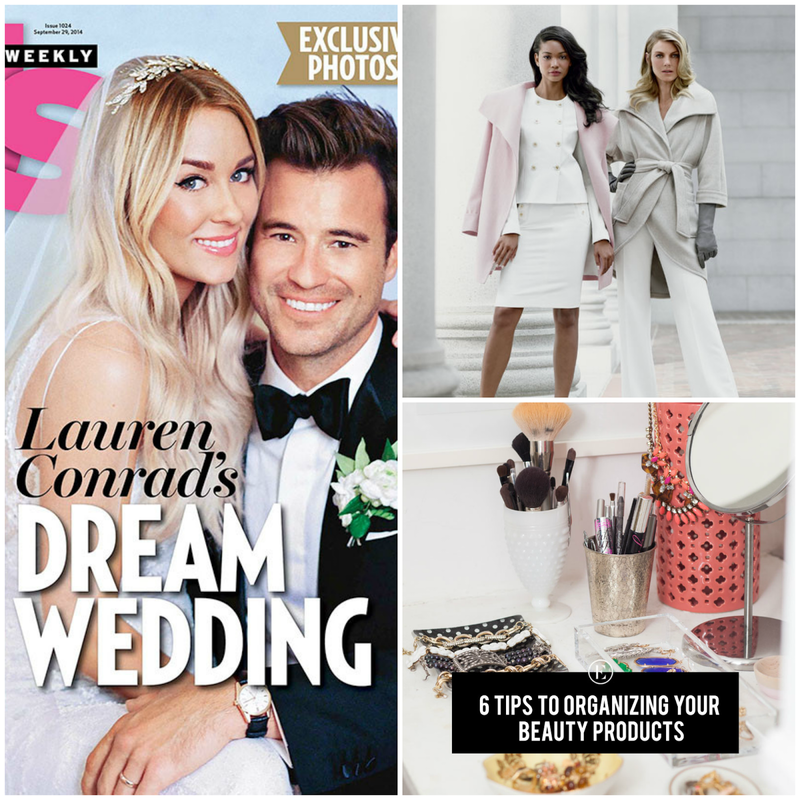 Us Weekly is on my list of magazines to pick up for our plane ride next week so I can swoon over Lauren's wedding. And, the Scandal-inspired Limited collection pretty much looks like perfection. Have a great weekend, doll! i'm heading to the beach on Sunday and will most definitely be checking out the LC wedding pics!! I love LC! I can't wait to see what her wedding looked like! I totally agree about Olivia...so hit or miss and this look is pretty fabulous! I can't wait to see LC's wedding pictures, I bet it's was beautiful! Great favorites, have a wonderful Friday, friend! that recipe looks delish, and those earrings are so pretty! i am also itching to see LC's wedding, and I really need help with the organising of my products, so off I go to read that one lol. I agree, sometimes Olivia looks awesome and other times, I'm just like no. I can't wait for Scandal to come back! I love the Tone It Up workouts! Well, love is probably the wrong word, but I like how I feel after? Also, I don't know where I have been that I missed that Lauren Conrad is now married! I love her. Have a great weekend! That pasta looks delish! I definitely need to read that Everygirl post, I'm totally in organization mode here! Have a great weekend! Love that outfit and recipe! Happy Friday! OMG I'm entirely too eager to see all things Lauren Conrad Wedding! I know it was freaking gorgeous!! And I loooooooove Karina and Katrina!! I love Jillian Harris! I didnt know she had a blog, you just made my day! I can't wait to see Lauren's wedding dress! I just saw her house in the newest InStyle and of course it's amazing. I was always envious of her life!! Have a great weekend! I die over Olivia Pope's outfits on every episode of scandal! Holy yum, that pasta salad! Pinning and trying asap! That pasta looks so good and not half bad for you either!! Hope you have a great weekend! 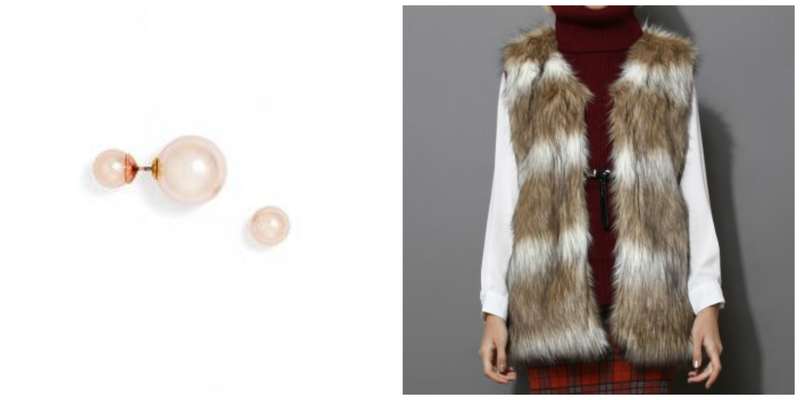 Omg love those double pearl earrings and a fur vest has been on my list for years now. Love the one you chose!! That pasta looks so delish!!! I may have to make it as one of my lunch meals for next week! There's a Scadal collection at the Limited?!?!? OMG. I can't pull off all that white but I seriouly love her style. I cannot wait to see all the details of LC's wedding! She's my fave and she is just beautiful! Gotta pick up my copy! I am SO excited about the Scandal collection!! Hope you have a great weekend girl! Ooh what a fun twist on pasta! That looks so good! Hope you have a fantastic weekend! checking out those 6 tips now, and i didn't know LC got married! How nice!! she's just so cute. I have those Bauble Bar studs and they are one of my favorites! I CANNOT wait to see LC's wedding photos. Such a nerd, but I have been trolling the internet for them all week. Happy Friday, lady! I love your purchases! That pasta looks delicious! That outfit??!!! I love!!!! I saw LC's post and I was like ahhhh where are the rest of the pictures! I will have to check out the Limited bc Olivia Pope knows how to dress for sure! Per usual, love the TIU girls. That pasta sounds amazing! I cant wait to see your fur vest! You have to send me a pic right away! I will flip you one this weekend when I get the Topshop one! Yay! Have a great weekend! Don't you love the Tone It Up workouts? So great that you don't really need a gym for a lot of them. That recipe looks so delicious! I've been looking for a faux fur vest...LOVE this one! yay you bought the earrings!! they're so pretty. ooh checking out jillian's blog now. i need some new recipes! have a great weekend and see you mondayyyy! I didn't know Jillian had a blog. The pasta looks delish! The Olivia Pope line looks like a must have, that jacket! Perfection! I love the tone it up girls and that recipe looks great! I see your link for the vest :) Ill have to check that out!! :) Have a great weekend! That recipe sounds amazing. So glad you bought your last wishlist items....can't wait to see pics! HIIT is wonderful in the living room!! That recipe looks fantastic, I want it! Lauren is so pretty and I love how she has made such a fabulous career for herself. That recipe, oh my! How did I not know she had a blog?! I've been totally stalking the LC wedding all week too - haha! Hope you have a great weekend! Ahhh thank you for posting the LC wedding link, I love her and am off to photo-stalk! Have a great weekend love! What a lovely list of favs! LC finally got married and it looks so perfect!! Have a lovely weekend !!! Ooooo!! That pasta looks so yummy!! And I'm not going to lie, I'm a huge LC lover! I love the Tone It Up Girls!! Also LC's wedding? Gorge. I am a newlywed too and seeing her wedding made me swoon! After a vacation to get back into the swing of things! I'm not a big celeb girl but LC... I can not wait to see all the pics! The Bauble Bar earrings are on their way to me right now, too! Can't wait to get them!! And how did I not know that Jillian Harris has a blog?!? Off to stalk her! Happy Sunday! That recipe looks so delish and I was super excited for LC's wedding as well. Frankly her wedding completely suited her!